The haircare market is pretty saturated with styling sprays and texturising powders and potions, but this one is a little different. 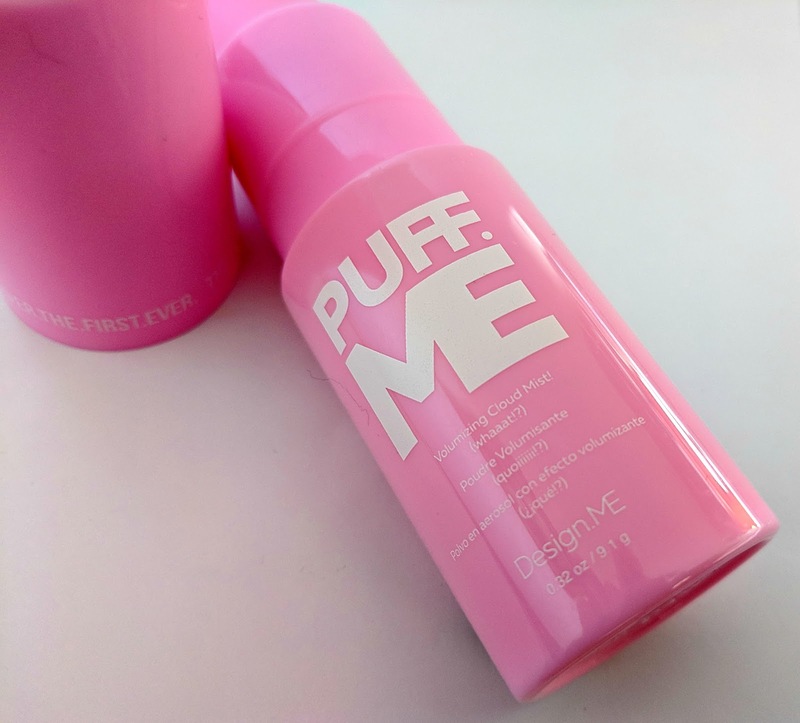 Puff.ME is billed as the first ever volumising powder in a pump, which might sound a bit odd but is actually pretty innovative! 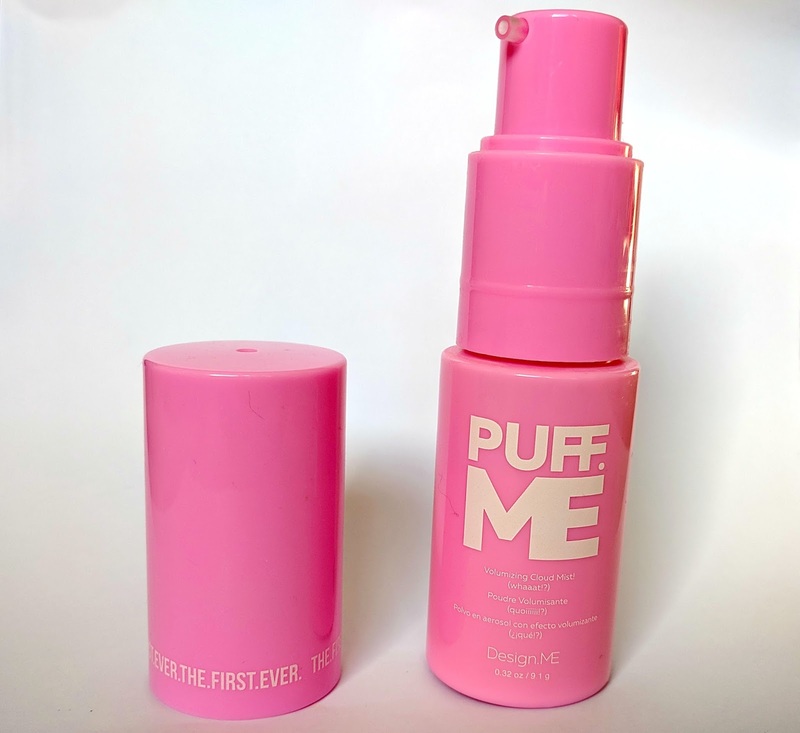 Packaged in a pretty hot pink bottle, Puff.ME creates instant volume, texture and general oomph with just one pump. I realise what I just wrote probably reads like a strap-line but it's absolutely true. When the bottle arrived the other day, I neglected to read the label properly, so without knowing what it actually was, I gave it a shake and then promptly sprayed two pumps into the front of my hair. Not my smartest move but I wasn't to know that this stuff packs some serious punch. I actually had to wash my hair pretty soon afterwards because I was literally walking around with the front of my hair in some kind of textured bouffant thing! I've tried my fair share of volumising and texturising products in recent years but I'm pretty confident that Puff.ME could just be a new front runner. Designed for use on dry hair, I would liken it to an industrial strength hair powder- just in much more convenient packaging -and rather than shaking it on your head until the desired amount of powder falls on your roots, you just pump it on much like you would with, say, a seasalt spray. For volume, part your hair where you want to add oomph, hold the bottle 2 to 4 inches away and spray the pump at the roots. I'd definitely start with just one pump and add more if you feel you need because as mentioned, this stuff is potent! If you prefer, you can just spray some into the palm of your hands and work it in that way. For creating texture, just spray where needed and get styling. If my hair was long I would totally use this to add interest to braided styles and pony tails, but as I've currently got a 'lob' going on, I'll use it to add volume and messiness. Even though the powder itself is white, I didn't notice any visible residue, though I would imagine this would be inevitable if you used a lot at once. It's also worth mentioning that it is fragrance-free (literally smells of nothing) so won't clash with your perfume. I personally quite like my hair products to smell nice but making it fragrance free makes it more universally appealing. Puff.ME is for normal to thick hair and there is a 'light' version of Puff.ME designed for fine/medium hair. It retails for £9.95 and as well as the aforementioned Puff.ME Light, the brand also has a blow-dry spray (PowerDRY.ME) and an amazing-sounding treatment (Fab.ME). The collection is cruelty free, sulphate free, paraben free and vegan. You can find Puff.ME at Sally's Beauty or Design.ME where it ships from the US.